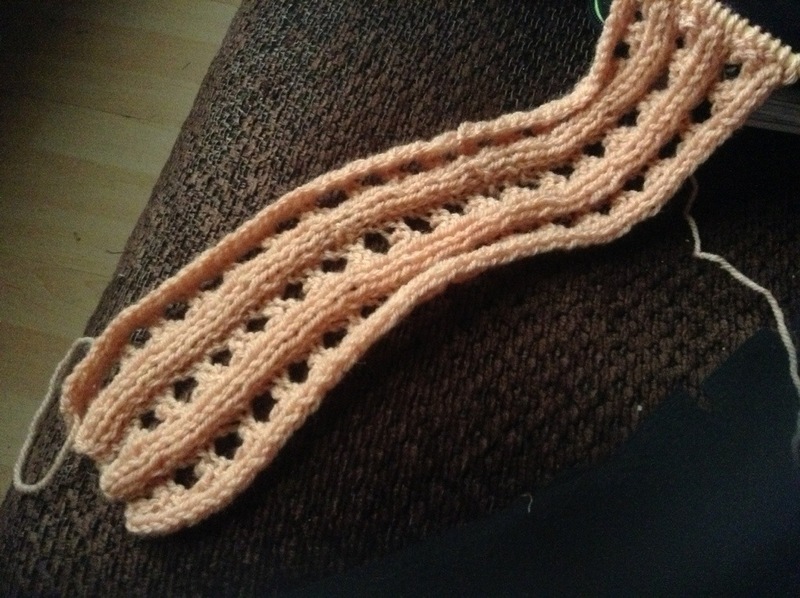 Quick update….the project from the new book…it is indeed a pretty scarf but I’m so ready to move on! And I still haven’t done the hedgehog. And I still haven’t made mince pies. On the flip side, I’ve not broken my promise: my other new book has yet to be touched…. This entry was posted in knitting and tagged easy, knitting, scarf.